Crayon Shin-chan: Saikyou Kazoku Kasukabe King Wii is a videogame developed and published for the Wii based upon the manga and anime series Crayon Shin-chan. 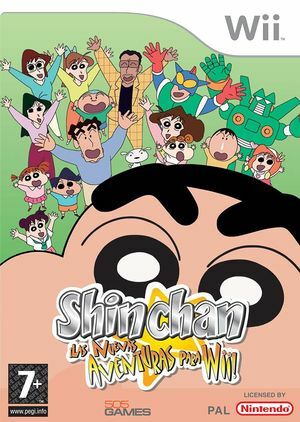 The game was launched on April 2008 in Spain with the title "Shin Chan: Las Nuevas Aventuras para Wii" (Shin Chan: The New Adventures for Wii). This game was released in Japan and Spain only. The graph below charts the compatibility with Crayon Shin-chan: Saikyou Kazoku Kasukabe King Wii since Dolphin's 2.0 release, listing revisions only where a compatibility change occurred.